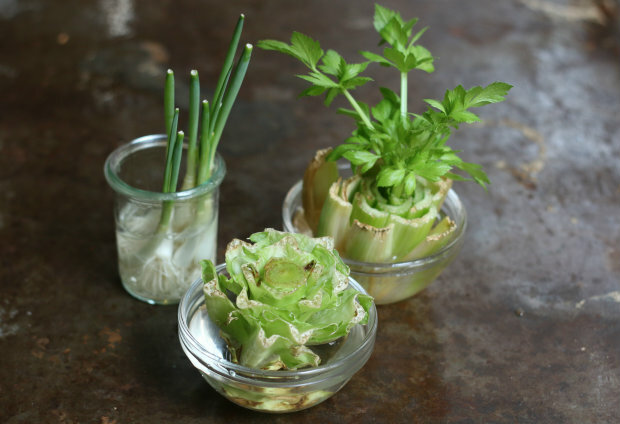 Did you know that certain common kitchen vegetables will actually regrow themselves in little more than water from the scraps you might normally toss away? 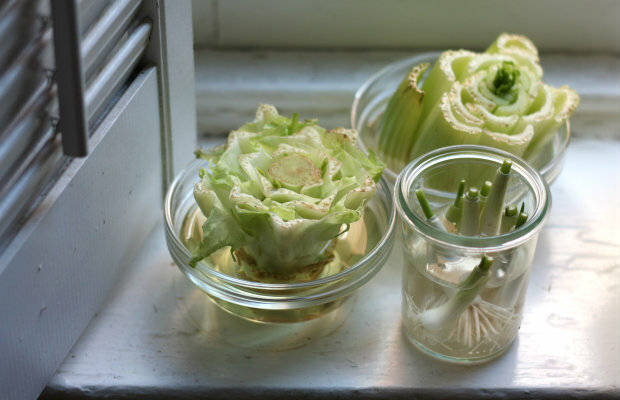 Plant your edible goodies in a window planter, and you can snip off what you need for salads and cooking and then watch them magically regrow. 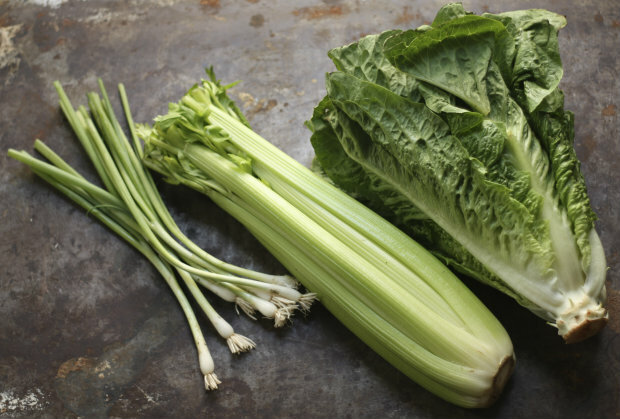 Start with vegetables that have a nice core or base, such as green onions, celery and romaine lettuce. 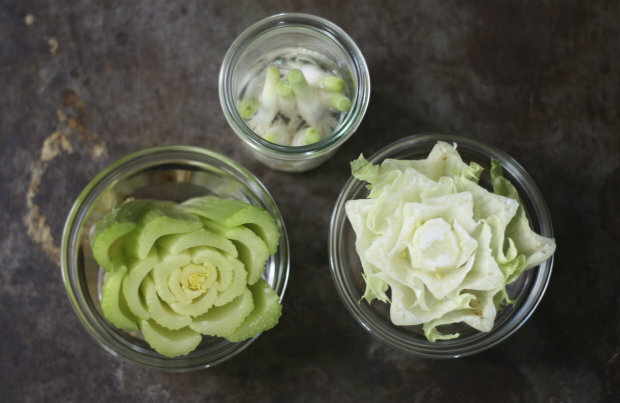 Tip: Other vegetables that regrow like this include bok choy, cabbage, garlic, fennel and any kind of onion. 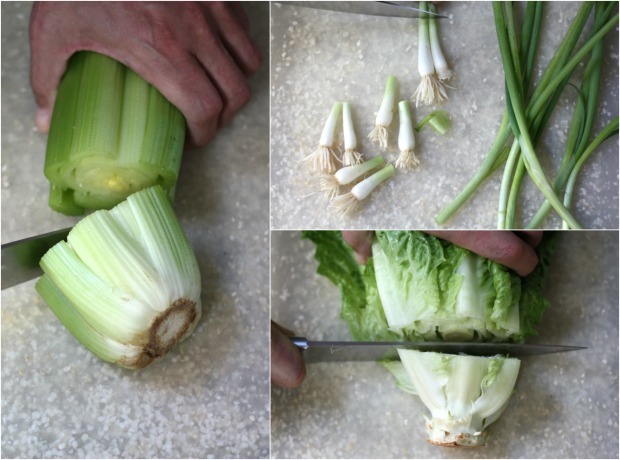 Cut the base from your vegetables, using the edible leaves and stalks in recipes as you normally would. 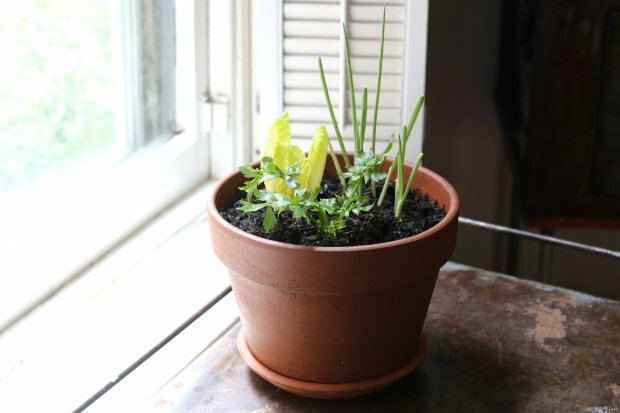 Save each of the bases and remaining white onion tips, placing them in small dishes of water in or near a sunny windowsill. 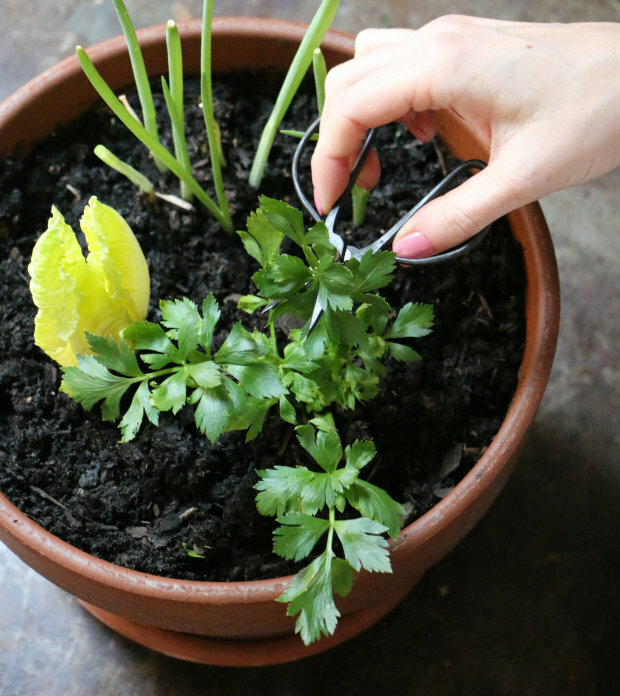 In little more than a single day or two, you will notice little green leaves and shoots sprouting up from the center of your cut vegetable scraps. By refreshing the water every other day, in little more than a week, you'll have some pretty substantial regrowth. It's pretty amazing, right? You might even notice elongated onion roots and new root growth sprouting from the celery and lettuce bases. Whether or not the plants show roots, you can still plant them for continued growth. The vegetables are now ready to transfer to soil, where they will really take off. 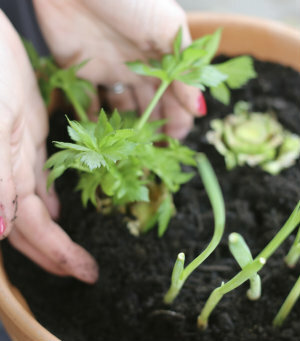 Group them together in a soil-filled container. Plant just deep enough for soil to cover the original base of the vegetables, allowing the new growth to peer through. Planting the vegetables in soil will provide nutrients the water and sun alone cannot fully deliver. This will promote continued and self-sustaining growth for as long as you want to keep them going. 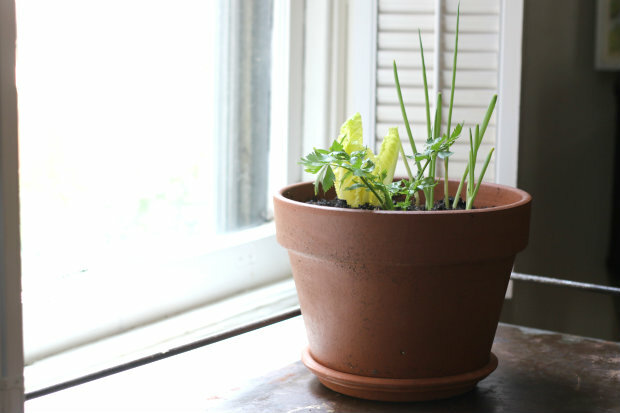 Place near your sunny kitchen window, giving regular waterings to promote continued growth. As you need greens to cook with, just snip from the planter. A project like this can be a fun and entertaining kid-friendly learning experience, with great lessons about where food comes from, how it grows and how to use it in everyday cooking.